Actor most famous for his highly-acclaimed performance as Santos Trinidad in the Spanish thriller No Habrá Paz Para Los Malvados (2011). His other credits include films like Murieron Por Encima de Sus Posibilidades (2014) and shows like El Príncipe and Vivir Sin Permiso. He made his acting debut in the action film Waka-Waka (1987). He won the Goya Award for Best Actor for his performance in No Habrá Paz Para Los Malvados. 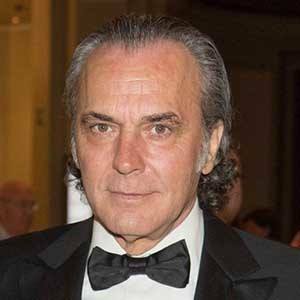 He is the father of actor Nicolás Coronado as well as a daughter named Candela. He and Ester Expósito appeared together in the drama Tu Hijo (2018).